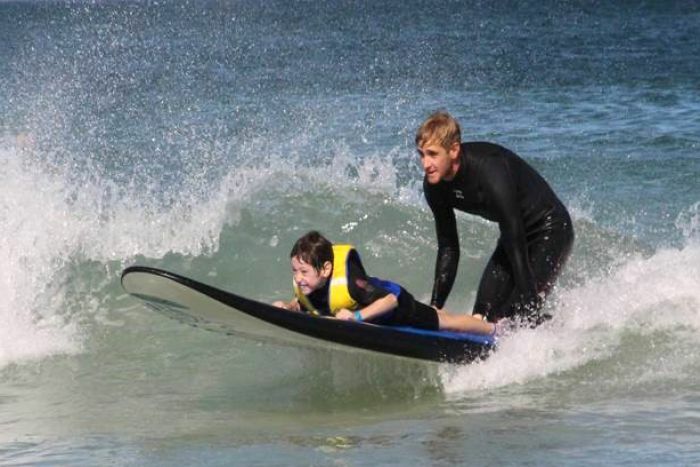 Learning to surf is proving to be a tonic for children with autism, helping them become calmer and more confident after a morning in the swell on Perth’s coastline with volunteers from a surfing charity. The organisation was set up by a group of surfing mates last year and parents of children who have participated have been blown away by the positive results. Judi Barrett-Lennard said her son William had “very low-functioning autism”.